Looking at the latest cinema releases, DVDs and films on TV, presented by Francine Stock. 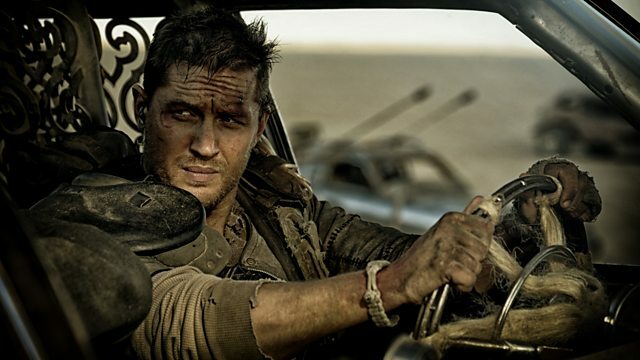 Including Mad Max: Fury Road, the Jaws music, Cartel Land and casting James Bond. Director George Miller reveals the influence of Buster Keaton on his post-apocalyptic epic Mad Max:Fury Road. The maker of Cartel Land, an eye-opening documentary about the Mexican drug wars, Matthew Heineman, tells Francine what it was like to visit a secret meth lab and to be caught in the middle of a shoot-out. Composer Neil Brand dissects the opening of Jaws, and explains why a few notes can instil fear in us all. Debbie McWilliams is one of the women who gives James Bond his licence to kill. She's been the casting director for all the 007 movies since For Your Eyes Only and let us in on a few secrets, for your ears only.